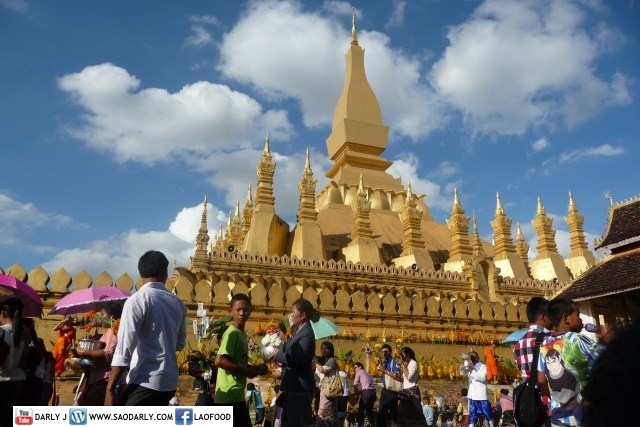 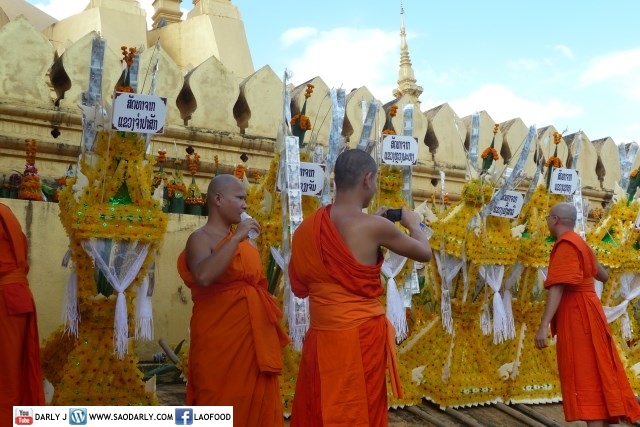 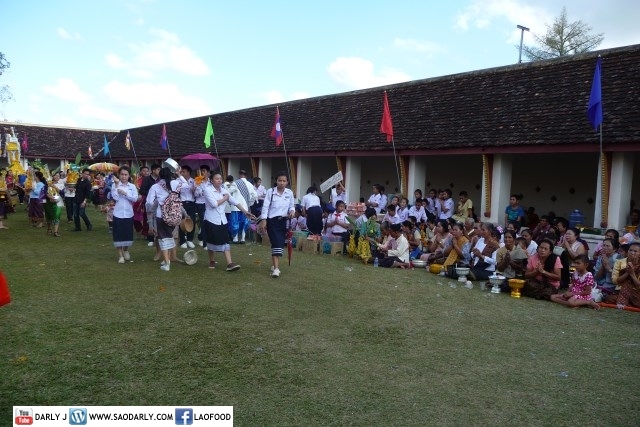 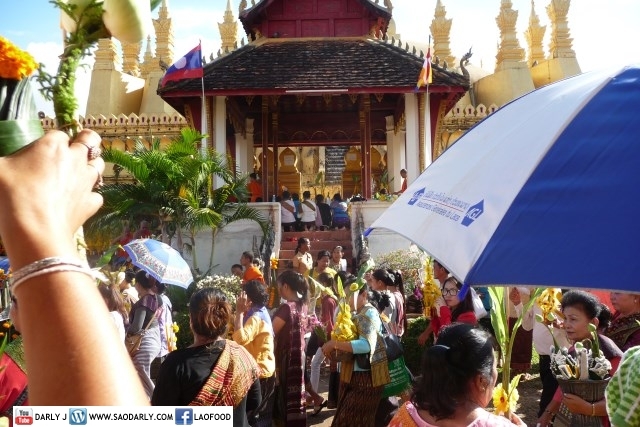 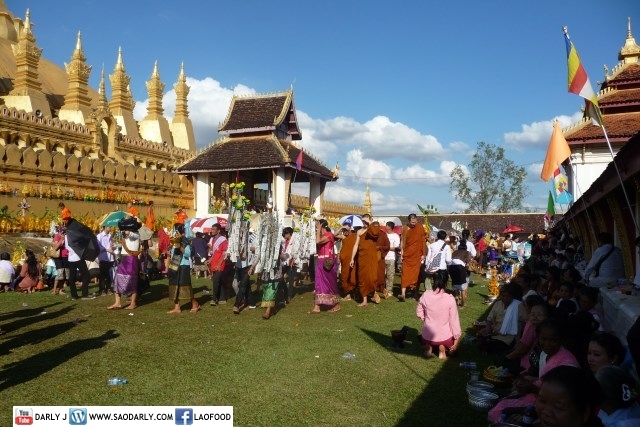 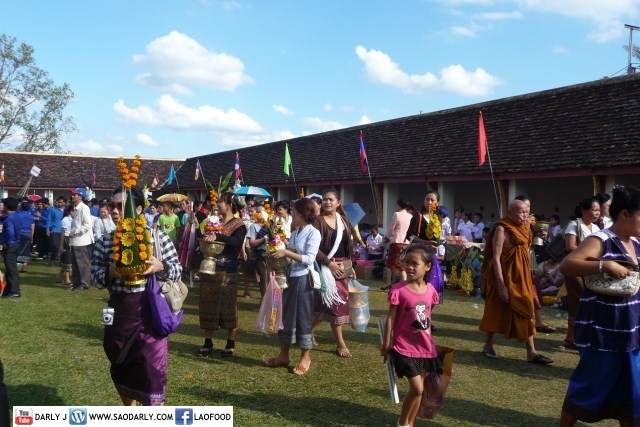 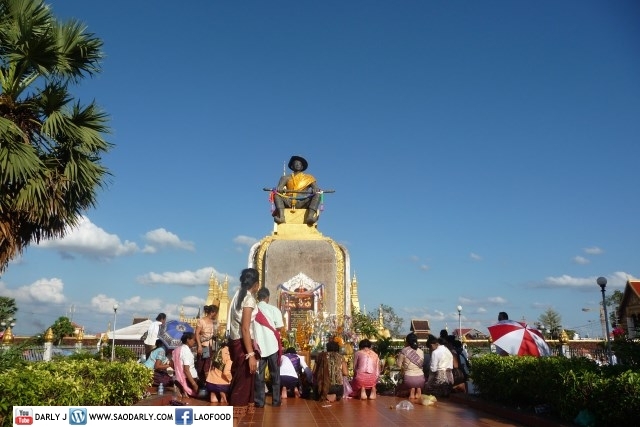 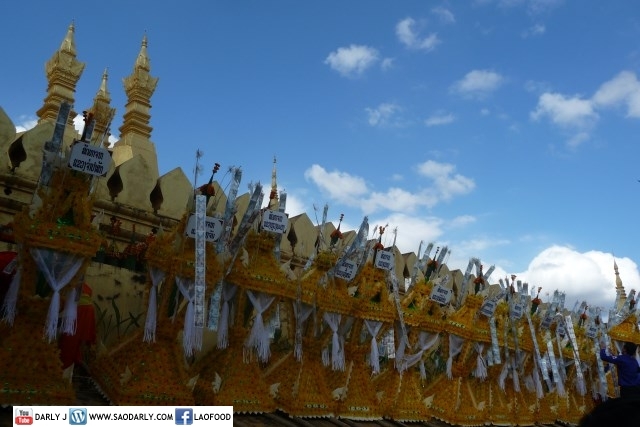 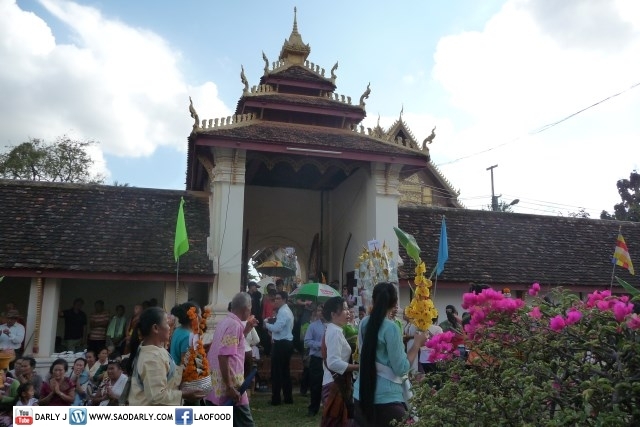 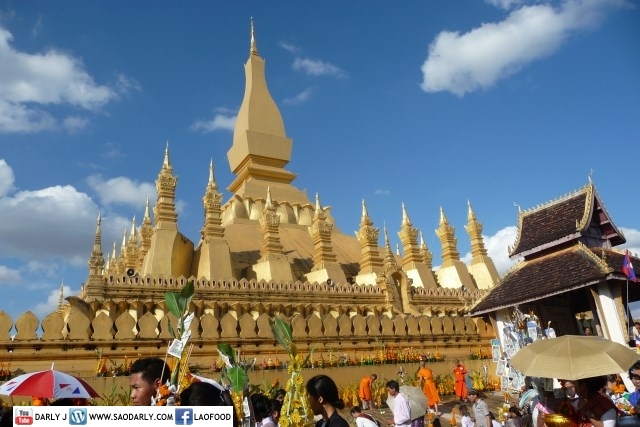 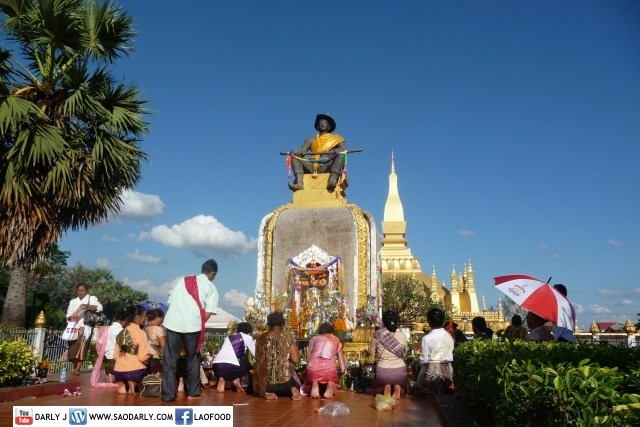 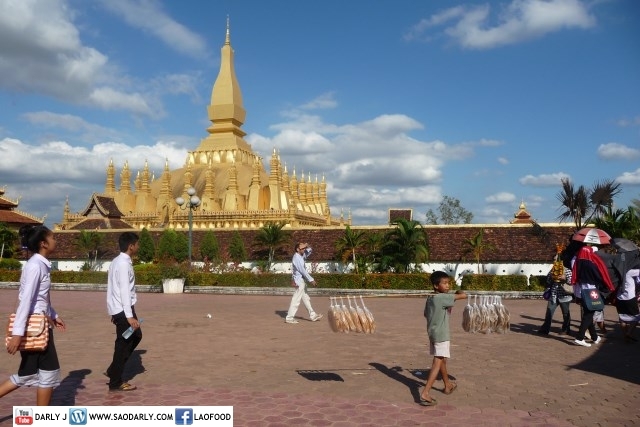 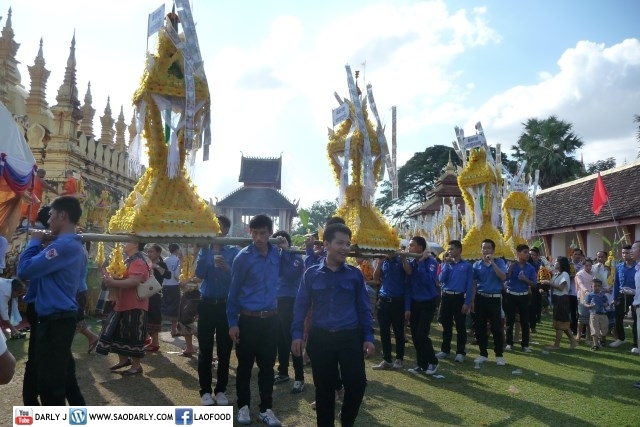 Today is the annual Haire Pasad Pheung or Wax Castle Parade at Boun That Luang (That Luang Festival) in Vientiane, Laos. 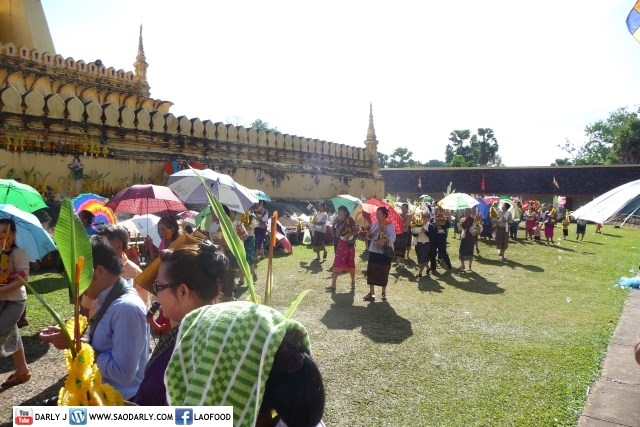 The weather is quite warm but that didn’t stop thousands of people from across the country to take part in the religious tradition. 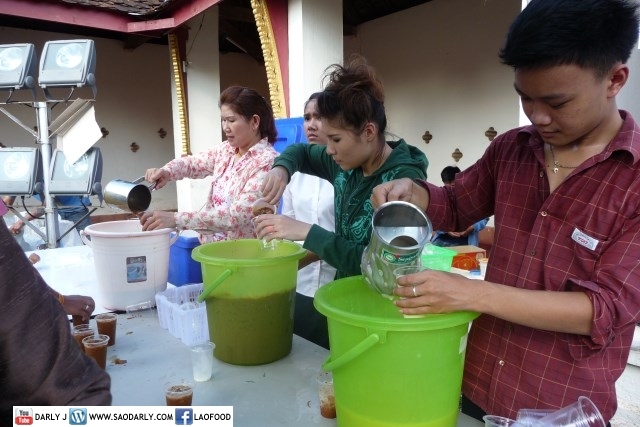 Many volunteers were there to pass out drinks to the festival attendees, donated by businesses and private donors. 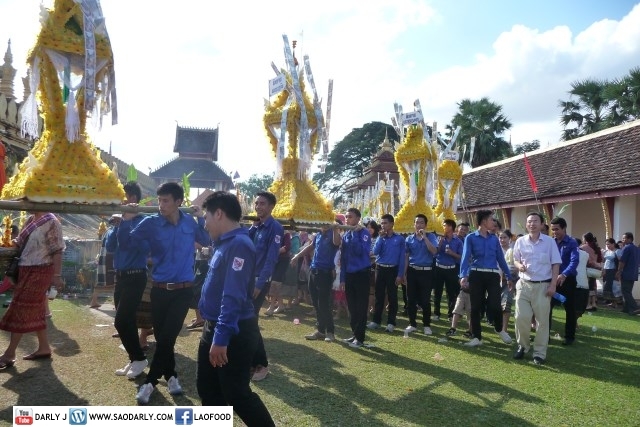 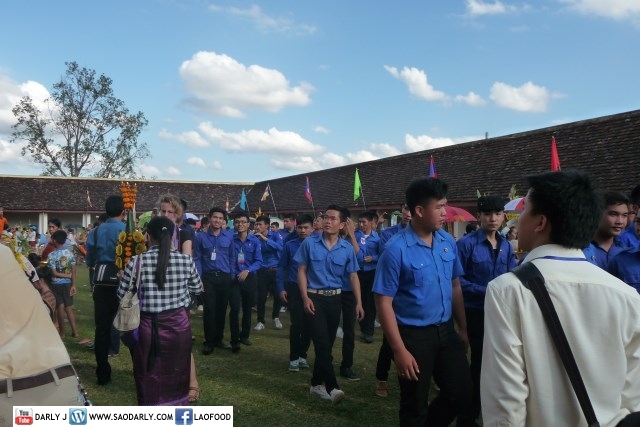 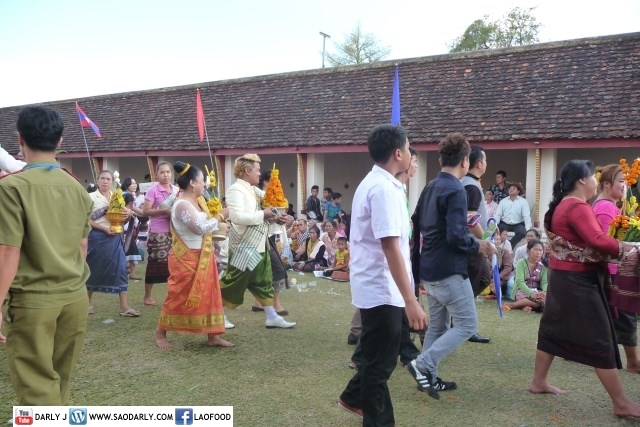 As part of our family tradition, many of my relatives were there to take part in the Wax Castle Parade around the grand Pha That Luang three times. 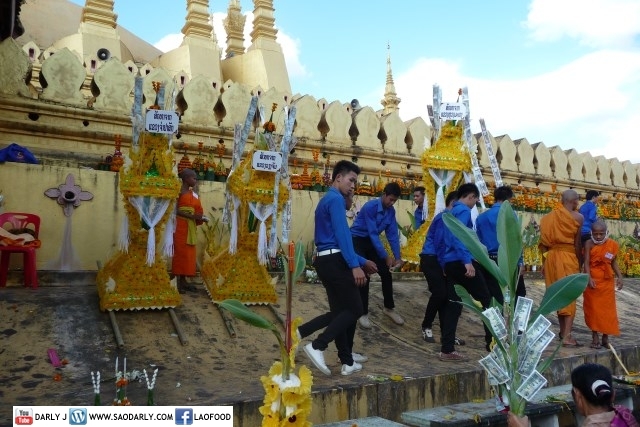 After the merit making and saying a prayer for good health and luck, it was time to buy some sticky rice in bamboo tubes and grilled chicken to take home for dinner.